The package delivery company announced today that it will give away 40,000 American Express gift cards, each worth $25. Consumers can apply for the free card via the FedEx Facebook page. This entry was posted in FedEx and tagged American Express gift card, consumers, Facebook, FedEx, gift cards, holiday shopping season, shopping, Small Business Saturday, T. Michael Glenn on October 30, 2012 by Roger Harris. FedEx will be handling some very special packages for the U.S. Olympic team this summer — horses. That’s right, the 50 or so horses on the U.S. equestrian team will be FedExed to the London Olympic Games. The 1,000-pound athletes will fly on a jet outfitted with custom-built stalls and will be served specially prepared in-flight beverages and snacks, including apple juice, carrots and Gatorade. Check out this NPR Morning Edition report from earlier this week. Click here for the NPR audio report. This entry was posted in FedEx and tagged equestrian team, Federal Express, FedEx, horses, jet, London Olympic Games, Morning Edition, National Public Radio, NPR, Olympics on March 9, 2012 by Roger Harris. FedEx looking at European expansion? Talk is heating up that Memphis-based FedEx Corp. will make a bid for European shipping company TNT Express. TNT late last week rejected an offer from FedEx competitpor UPS. Wall Street Journal: Will There Be A Bidding War for TNT Express? This entry was posted in FedEx and tagged bidding war, Bloomberg, European, expansion, Federal Express, FedEx, TNT Express, UPS, Wall Street Journal on February 21, 2012 by Roger Harris. By now you’ve seen the video of the FedEx deliveryman tossing a computer monitor over a fence. The company has posted an apology in a prominent spot on its website, Senior VP Matthew Thornton has a written and video apology on his blog, and the company has responded to numerous media requests for interviews. The company is doing the right thing by responding quickly, but erasing the unfavorable video image from the public’s mind won’t be easy. One version of the YouTube video of the computer toss had been viewed nearly 758,000 times in less than two days. A Yahoo search of “FedEx delivery over fence” yielded 874,000 results. That’s a lot of bad PR. This entry was posted in FedEx and tagged apology, computer toss, deliveryman, Federal Express, FedEx, Matthew Thornton, PR, public relations, video, YouTube on December 23, 2011 by Roger Harris. Today is THE day for FedEx Corp. as the holiday shopping season kicks into high gear. Monday will be the busiest day of the year for the Memphis-based package delivery company’s global network. Some 17 million shipments will be moved. That’s twice its normal daily volume and a 75 percent jump from its high-volume mark in 2005. It’s also good news for people looking for work. FedEx hired 20,000 seasonal workers to help handle the surge in its U.S. business. Any way you cut it, that’s a lot of holiday cheer moving through the FedEx system. 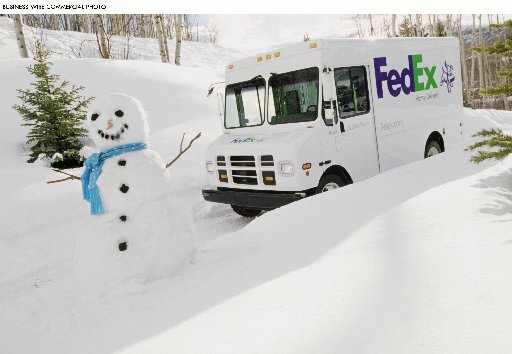 This entry was posted in FedEx and tagged busiest day, FedEx Corp., high-volume, package delivery, shipments on December 12, 2011 by Roger Harris. If you’ve ever wondered what happens to used 757s, it turns out that FedEx buys them. Some of ’em, anyway. Bloomberg has an interesting piece on Fedx and the used jet market. Check out the link below. You know you want to. Of course, some of the big jets end up in one of the “aircraft boneyards” scattered across the deserts of the southwest U.S. This entry was posted in FedEx and tagged Boeing 757, FedEx, used jets on March 4, 2011 by Roger Harris. Recovery from the Great Recession has been slow, but holiday shopping could give the economy a good boost. FedEx Corp. said on Thursday it expects to have the busiest day in its history next month during the middle of the holiday season. The Memphis-based package delivery company anticipates it will move almost 16 million shipments worldwide on Dec. 13. That would be 11 percent more than last year’s busiest day when it moved 14.2 million shipments, the company said. This entry was posted in FedEx and tagged busiest day, Christmas trees, delivery, Economy, FedEx Corp., Great Recession on November 11, 2010 by Roger Harris.